I visited your store on two ocassions on 12/10/17 and the next day on 13/10/17 to exchange an item I had previously purchased. i found your staff unwelcoming and felt like they had a proprietorial air. Nobody cracked a smile throughout my shopping experience and i seriously think your staff need retraining on customer service. I bought some cute slippers (cat design), but I had actually wanted some slip-on slippers with a raised (but comfortable) heel. These no longer seem to exist. 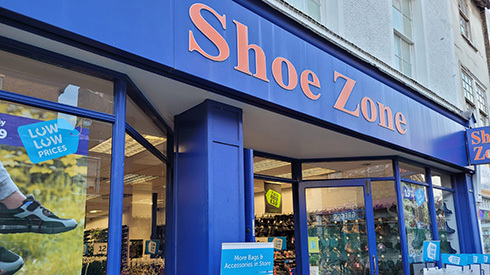 Thank you to the store for all your help, I used to always shop for my children in another chain and was surprised when the sales assistant offered to properly measure my girls feet. The lady who served me was lovely and offered to order to order the pink shoes in that wasn't available in store.